Animal Wildlife | Baboon | Baboons are medium sized primates found in Africa, and are best known for their bright behinds! 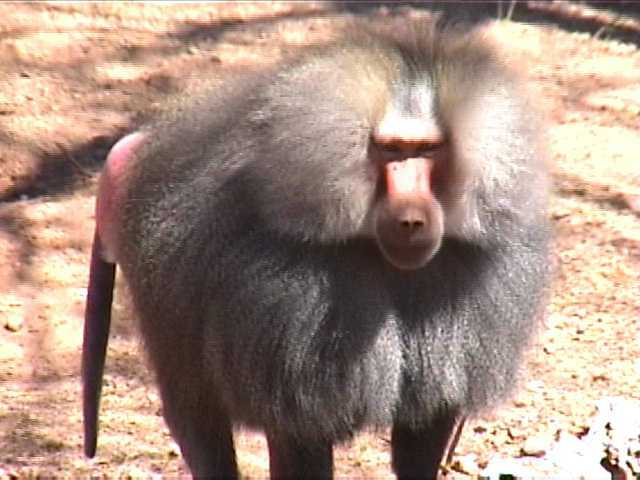 The two most common species of baboon in east Africa are the olive baboon and the yellow baboon. The baboon is generally found in more forested areas but is also commonly known to wander the African plains. Baboons grow from 0.5 to 1.2m depending on the species, but weigh only around 30kg. 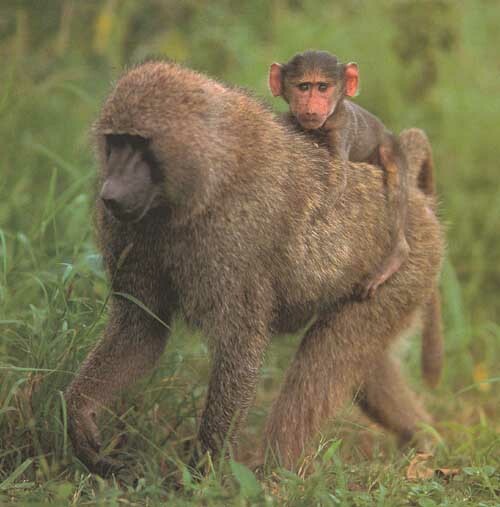 The olive baboon tends to grow to a slightly larger size than the yellow baboon. 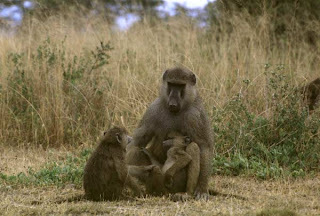 Baboons are also mainly ground dwelling monkeys meaning that they have a more varied habitat than most other primates. The baboon is a terrestrial and ground dwelling animal and baboons are found in open savannah, open woodland and hills across Africa. The baboon's diet is omnivorous, but mostly vegetarian yet baboons eat insects and the baboon occasionally preys on fish, shellfish, hares, birds, monkeys and small antelopes. Baboons are forager animals and baboons are active at irregular times throughout both the day and night. Baboons can raid human dwellings and in South Africa baboons have been also known to prey on human livestock like sheep and goats. The baboon's main predators are human beings and the leopard, although the baboon is not easy prey for a leopard and large male baboons will often confront the leopard by flashing their eyelids and showing their teeth by yawning. 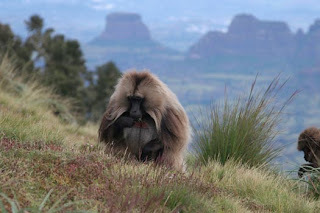 Baboons have also been seen making gestures, and chasing after the intruder/predator.